Paras Buildtech became a renowned name owing to the vast experience and expertise in real estate with its team of professionals dedicated to providing the best real estate solutions to its clientele. The group has been credited with the development of a commercial project named Paras Downtown Square Mall located at Zirakpur, which provides a whole new shopping experience to the visitors. 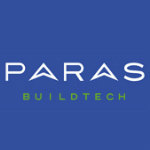 Paras Buildtech India Pvt Ltd is committed to the vision of building landmarks globally by providing to its clientele, projects made using high-quality construction techniques. The group has made it its mission to set new standards in real estate with unmatched quality and on-time delivery thereby adding value to the project for its clientele and investors. Paras Buildtech has become a name synonymous with quality and reliability in real estate development.